Famous for Dixieland Jazz and Mardi Gras, New Orleans will also be known as the site of your most successful event! 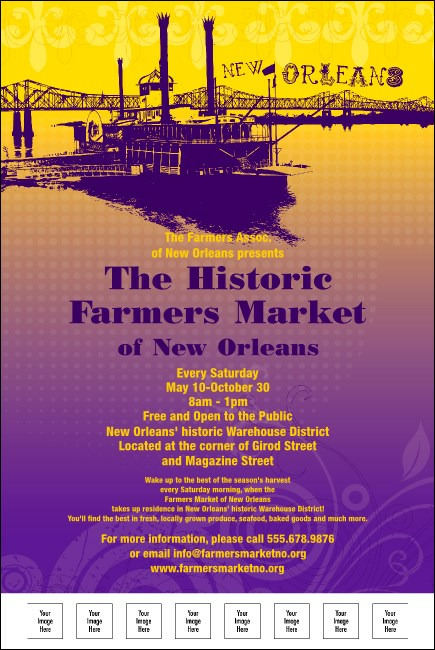 Promote it in Crescent City style with the New Orleans Poster. Decorated with a riverboat and a bridge spanning the Mississippi, this poster template still has room for eight custom images. Make it a carnival! Printing and Shipping is fast and easy through TicketPrinting.com.